The Fort Precinct occupies a significant position in Bombay for it marks the origins of the city. Its highly structured form reinforced by magnificent public buildings makes it architecturally an important and valuable precinct in the city. 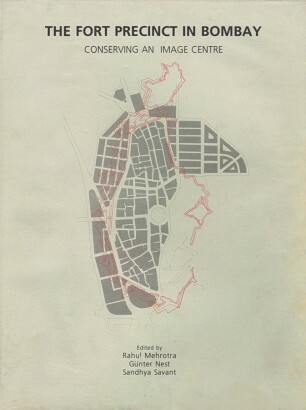 This publication documents ideas and strategies which work towards conserving this important image center of Bombay. Volume 1 of this publication contains the proceedings of a workshop held in October 1993 to stimulate a debate regarding possible conservation strategies. Volume II contains an actual conservation proposal based on a detailed mapping and documentation exercise carried out as a follow-up of the above workshop. Also, included is a catalogue of the Heritage List, conservation worthy buildings in the fort Precinct attached to the Development Control rules of the State Government. This publication is a reprint of the above Volumes which in their first editions were printed as separate books.